Put your hands together for Portland Opera: Big Night as they take to the live stage on Saturday 11th May 2019! Yes, you heard it right, Portland Opera: Big Night is taking to the road once again on an unstoppable tour that has got fans, critics and fellow musicians alike talking about where to catch Portland Opera: Big Night LIVE, stopping off at venues on their North American tour! Tickets are on sale now for the main event at Keller Auditorium… there's no time like the present to run and grab yours before the hype gets too much and tickets have sold out. Here's your chance to catch your favorite artist – it doesn't get better than that! 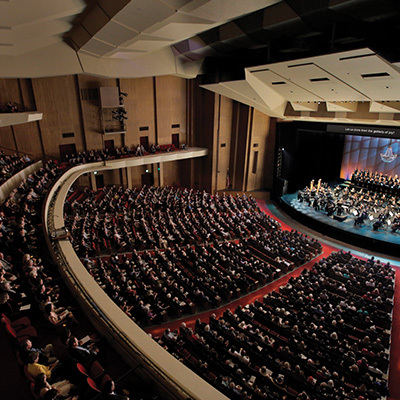 Keller Auditorium has built its reputation as the 'go-to' place to catch big league shows that have made significant impact on music fans. It has become a pivotal landmark of Portland. Once again, another momentous event is bound to take place on Saturday 11th May 2019. Portland Opera: Big Night is a highly anticipated event in this side of town, and fans are absolutely giddy with excitement. As soon as the news broke out, ticket sales started moving briskly and show no signs of slowing down. You can get tickets to Portland Opera: Big Night fast and easy. A quick click to 'buy tickets' button is all it takes. No lines, no sweat; just a fun and solid show in store for you!